Sauteed homard lobster and baked duck in a pie were among a seven-course meal served to diners from France and abroad at the Passage 53 French restaurant in Paris one recent day. The dishes were cooked by Shinichi Sato, a 37-year-old Japanese chef. The restaurant was opened in 2009 and has obtained two Michelin stars. 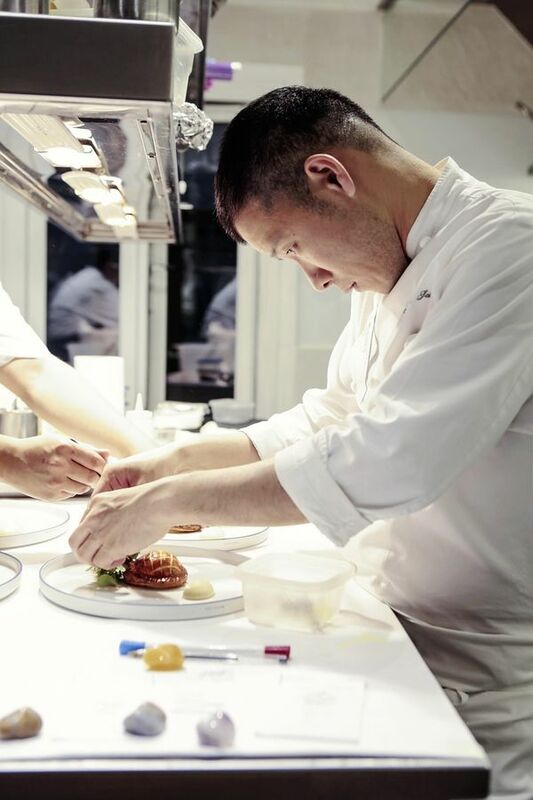 An increasing number of Japanese chefs of French cuisine have been fascinating epicures in France, with their exquisite cooking skills, that they have earned recognition from the prestigious Michelin Guide. According to Aya Ito, a cooking journalist based in Paris, more and more Japanese chefs like Sato are drawing high praise. In the 2014 Michelin Guide, 19 Japanese chefs (including four chefs of Japanese cuisine) obtained one or more stars — four more than last year.